The commerce ministry had recently recommended a $25 per tonne import duty on metallurgical coke (met coke) which is a key raw material for the steel sector. The commerce ministry had recently recommended a $25 per tonne import duty on metallurgical coke (met coke) which is a key raw material for the steel sector. Several domestic Steel makers has opposed the anti-dumping duty. Secretary general of Indian Steel Association argued that such a levy of anti-dumping duty on met coke will have a cost push effect on the steel sector in India.Imposition of any such duty will cause the price of finished steel to increase by Rs 700-1,500 a tonne. Several domestic Steel makers has opposed the anti-dumping duty. Secretary general of Indian Steel Association argued that such a levy of anti-dumping duty on met coke will have a cost push effect on the steel sector in India.Imposition of any such duty will cause the price of finished steel to increase by Rs 700-1,500 a tonne. Met coke costs have about tripled since January this year since the time the case was started and it is at present administering around $350 a ton, without any indications of subsiding. Met coke costs have about tripled since January this year since the time the case was started and it is at present administering around $350 a ton, without any indications of subsiding. Domestic steel makers fear that Imposition of anti-dumping duty will further worsen the already bad situation by increasing the prices of inputs though sale realisations have remained more or less flattish. 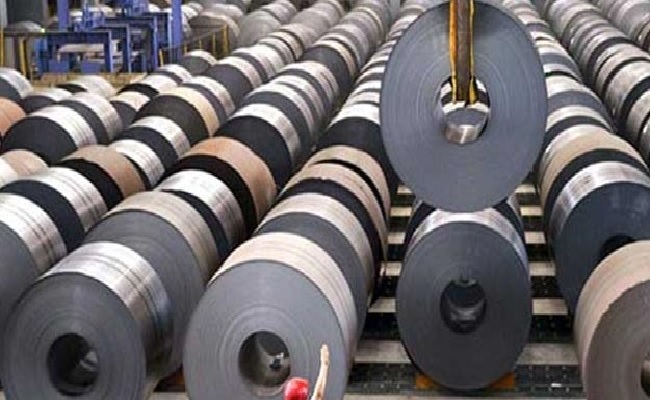 Domestic steel makers fear that Imposition of anti-dumping duty will further worsen the already bad situation by increasing the prices of inputs though sale realisations have remained more or less flattish.